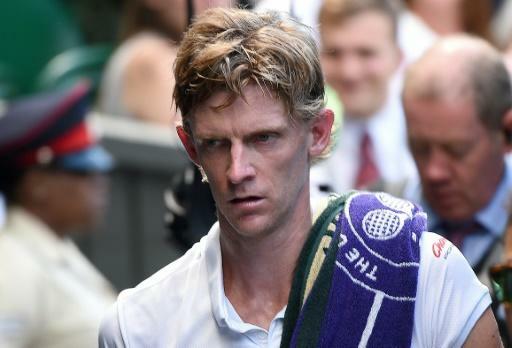 South Africa's Kevin Anderson vowed to use the pain of his Wimbledon final defeat as fuel to finally win a Grand Slam title. Riddled by nerves and plagued by fatigue, Anderson slumped to a 6-2, 6-2, 7-6 (7/3) loss against Novak Djokovic in Sunday's showpiece. It was a bitter pill for Anderson to swallow after he spent six hours and 36 minutes battling to see off John Isner in a last four clash that ranked as the second longest singles match in Grand Slam history. After losing last year's US Open final against Rafael Nadal in straight sets, the 32-year-old could be forgiven for fearing he will never win a major in an era dominated by the Spaniard, Djokovic and Roger Federer. But, having stunned Federer in the Wimbledon quarter-finals with a fightback from two sets down, Anderson is adamant his run to a first Wimbledon final proves he is getting closer to Grand Slam glory. "The main thing is if I look at the improvements I'm making, I feel like it's getting better. I definitely believe I have the game to win these tournaments," Anderson said. "If you asked me this time a year ago, I don't think I could sit here and say I really believe that I can win a Grand Slam. "I feel like I'm on a great path. I have a lot of belief I can put myself into another one of these matches, and hopefully have the result that I'm looking for." Anderson will rise to a career-high fifth in the ATP rankings on Monday, capping a late-career surge that seemed impossible when he was ravaged by injuries two years ago. "It really means a lot. It was about two and a half years ago, I had a chat with my team on WhatsApp called top-five Kev. That was the goal," he said. "Then obviously I had a major setback and injuries in 2016. So seeing that I made top five, I'm incredibly proud of that achievement, especially if I look back where I was just 15 months ago, around 80 in the rankings." The first South African to reach the Wimbledon title match for 97 years, Anderson admitted he was wracked with anxiety and exhaustion as Djokovic swept through the first two sets. He improved in the third set, but it was too late to halt Djokovic's charge to a fourth Wimbledon title. "It was a tough start for me. Going into the match, I was hoping to draw on some previous experiences, playing at the US Open in the finals, playing Federer a couple days ago," he said. "I didn't really find my form the way I wanted to. Of course, my body didn't feel great. I was definitely quite nervous starting out the match. "What separates the top guys is maybe not necessarily just their raw abilities, but it's their ability to play their best tennis in these sort of matches. "I wasn't able to do that in the beginning. He was." Anderson repeated his call for Wimbledon to consider changing the rules so the fifth set is decided by a tie-break -- as it is at the US Open -- rather than dragging players through draining deciders. "Honestly, Saturday was pretty tough. There was a lot of thoughts going through my mind of, Am I going to be ready to play another three-out-of-five-set match on Sunday against somebody like Novak. I barely slept on Friday night," he said. "Hopefully there will be at least a dialogue. Most people I speak to really find value if there was a fifth-set breaker like there is at the US Open. "If a winner hasn't been decided at 6-All in the fifth, I don't think there's a reason to continue playing."